Whether you have a blog, online store, or a regular website that you want to look amazing, it pays to optimize each image you upload. When we talk about how to “optimize” images for the web, you can think about this in three ways: 1) making images look good, 2) making images load quickly, and 3) making images easy for search engines to index. Most posts go over one aspect of optimization or another, but in this post I’ll cover them all. 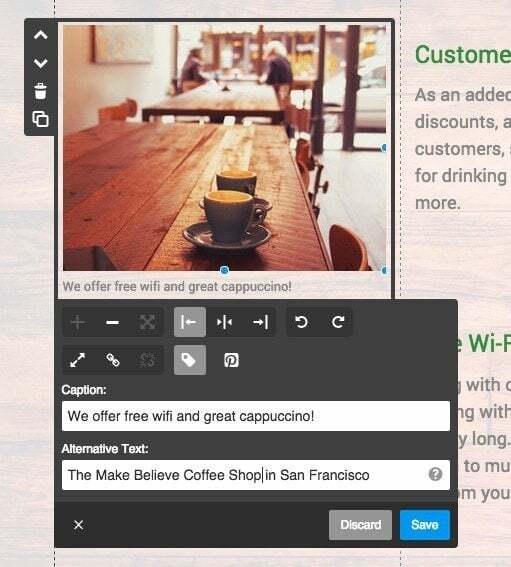 Even better is that you can optimize images with free, easy-to-use tools—no Photoshop required. 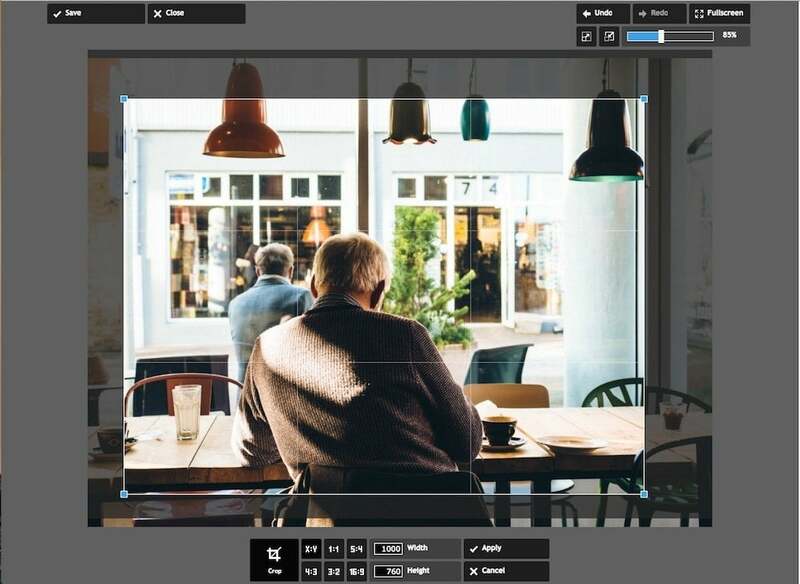 (In this post I’ll mostly demonstrate with the free browser-based version of Pixlr, which is a simple tool for basic image editing. If you’re interested in other tools, check out our post How to Edit Photos Without Photoshop). 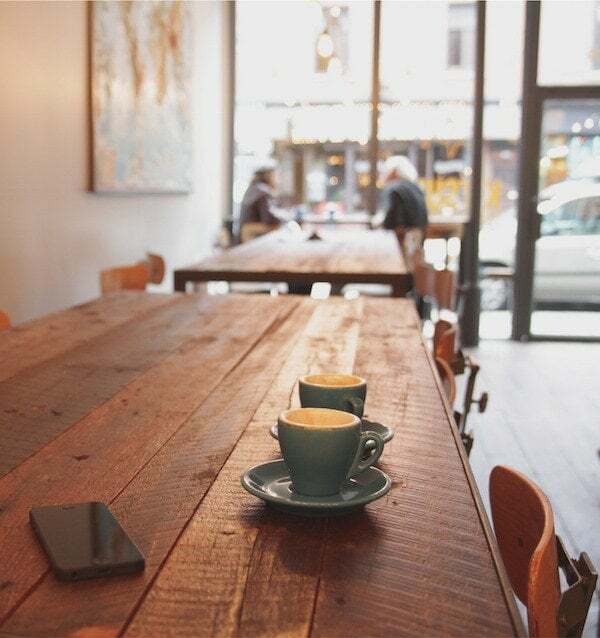 …and with a Jimdo website, free stock images are available right in your Image Library. When you download an image from one of these websites, it will likely be a really big JPEG file. To compress it for your website, you’ll need to reduce the size and upload a smaller version (more on that below). That’s ok, though. Starting with a large format is ideal, because you can always make a large image smaller. (Making a small image larger won’t work so well). Taking your own (better) photos: Of course, you can’t use stock photos for everything (like your team or product). There are a few easy tricks to make your images look well-lit and more professional, even without fancy camera equipment (like this tutorial on creating your own lightbox). Graphics: If you’re looking for something more graphic-based, there are a ton of new, free online tools that you can use to build your own infographics or photos with font overlays. 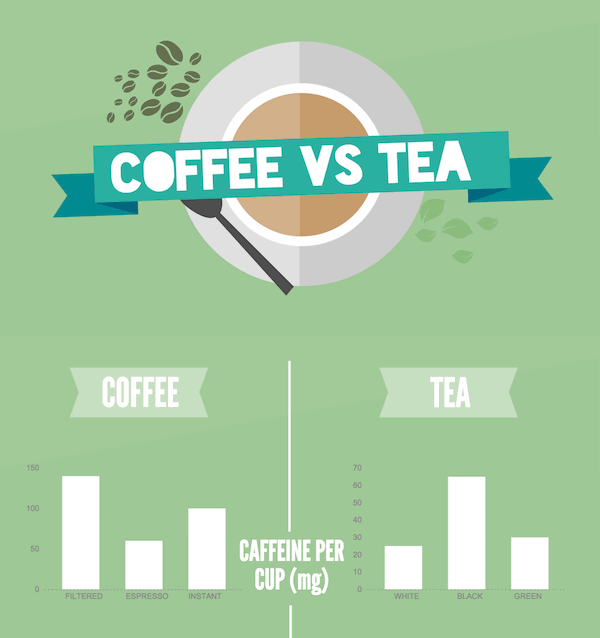 We love Canva and PiktoChart. If you’re looking for a logo, we recommend checking out 99designs or designonclick. Create a website and upload your photos instantly with Jimdo. Photographs should be saved and uploaded as JPGs. This file type can handle all of the colors in a photograph in a relatively small, efficient file size. By using JPEGs, you won’t end up with the enormous file you might get if you saved a photograph as a PNG. Graphics, especially those using large, flat areas of color, should be saved as PNGs. This includes most designs, infographics, images with lots of text in them, and logos. PNGs are higher quality than JPEGs, but typically come with a larger file size, too. Like their relatives, the SVG file, PNGs deal with areas of color and text with nice crisp lines, so you can zoom in and not lose any quality. They also support transparent backgrounds (which you’ll want if you’re using a logo). If you have a choice, we recommend saving PNGs as “24 bit” format rather than “8 bit” because of the better quality and richer array of supported colors. Photographs should usually be saved as JPEGs. Graphics and logos should be saved as PNGs. What if you’re using a photograph with text over it? If the majority of the image is a photograph, then stick to a JPEG. Most simple image programs let you choose JPG or PNG by going to “Save As,” “Export,” or “Save for web” and choosing the type you prefer. There are also free browser-based online tools like Zamzar that will convert files for you. You can convert a PNG to JPEG, but you don’t gain anything by converting a JPEG to a PNG file. That’s because a JPG file is already stored in what’s called a lossy format—the image data has already been lost when it was compressed, so you can’t magically bring it back. For example, if you only have your logo as a JPG, you’ll need to go directly to your designer and ask for a PNG file from their original design program, rather than trying to reverse-engineer a PNG from a JPEG file. With web images, you want to find the right balance between size and resolution. The higher your resolution, the larger the file size will be. In the world of print, high resolution images are a good thing. But on the web, large size, high resolution images can slow down your website’s page speed. This hurts your users’ experience and, eventually, your search engine ranking. Big images and slow load times are especially annoying for mobile visitors. There are times when you’ll want to use large images on your website, like for your background or hero image. If you use low-quality images and try to blow them up to be big enough, it will look fuzzy. Optimal file size: the number of bytes the file takes up on your computer. This is the factor that can slow your website way down. A 15MB (megabyte) image is huge. A 125KB (kilobyte) image is much more reasonable. If your file size is really big, it’s an indicator that either your image dimensions are too large or the resolution is too high. Image size: The actual dimensions of your image, in pixels. You probably think of traditional printed photos as 4×6, 5×7, or 8×10. But on the web, the height and width are measured in pixels. So for example, a typical image on a website or blog might be 795×300 pixels. Resolution for web images: Left over from the world of print, resolution is the quality or density of an image, measured in dots per inch (dpi). A professional printer might require images to be at least 300dpi. But most computer monitors display 72dpi or 92dpi, so anything higher than that is overkill and makes your image unnecessarily large. When a design program has the option to “save for web”, it means saving it at a low, web-friendly resolution. Learn more about web graphics in our Beginners’ Guide. How do you find the file size, image size, and resolution of your image? Finding the resolution requires a more advanced photo program like Photoshop, but most basic image editing programs will automatically save images at a lower, web-friendly dpi that’s a better resolution for web images. Optimal file size: Large images or full-screen background images should be no more than 1 MB. Most other small web graphics can be 300 KB or less. If you’re using a full-screen background, Jimdo’s Customer Support Team recommends uploading an image that’s 2000 pixels wide. Resolution for web images: If you have the option, always “Save for web” which will give your image a web-friendly resolution. What do you do if your image is too big for your website? Resize the image. If your photo is 5000 pixels wide, you can easily resize it to 2000 pixels wide, 1200 pixels wide, or even smaller depending on how you plan to use it on your website. This will significantly reduce the file size. When you resize, make sure to keep the proportions the same so you don’t distort your image. Reduce the resolution. Most photo programs will automatically compress your image resolution to a “web-friendly” size (72dpi and 92dpi, respectively). You can do this in Photoshop too with the ‘save for web’ option. You can also “Save As” in many photo programs and then adjust the quality level from there. Compress your image with a free program like TinyPNG or TinyJPG. Both will significantly reduce your file size without interfering with the quality. Resizing an image is easy. The original stock photo was 6302×4789 pixels and 16.2MB, much larger than what I need for my website. Using Pixlr, I’ve shrunk it to 1000×760 pixels, resulting in a smaller, more web-friendly file size (132KB—perfect!). Images on a web page will look better if you use a consistent style and size. Consistency will also help when lining up your text, columns, and other information on your page. To see what we mean, take a look at the examples below. In the first one, taken from our make-believe “Make-Believe Coffee” website, the photos are all different dimensions. One is oriented vertically, while the others are horizontal. This makes the page look disorganized. In this example, the photos are mismatched and sized differently, so the page looks a bit sloppy. In the next example, I cropped each photo to a more uniform 1000×760 pixels. The top photo of the bright white coffee mug felt out of place, so I replaced it with one that was similar in style and color to my two other photos. I also experimented with the image filters in Jimdo and put in a subtle overlay over each photo (sort of like an Instagram filter) to give them a more consistent look. In this example, I chose photos that are the same style and cropped each one to be the same size. This makes my page look more consistent. Since the photos are all the same size and oriented the same way, they all fit perfectly in one column, with my paragraphs in another. No adjustments or guesswork needed! And remember, with a Jimdo website, your images are automatically imported and arranged perfectly, so you don’t have to worry about your design. Try it out today! Cropping an image in Pixlr to make it the same size as my other images. Ok, now that your photos are resized and looking great, how can you optimize them for search engines? 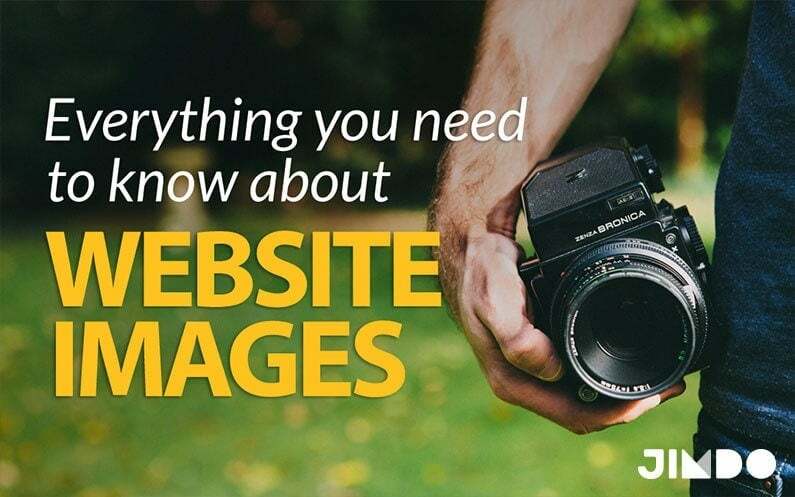 On Jimdo websites, much of the SEO housekeeping is taken care of for you, but there are still a few tweaks you can make to optimize your images. For consistency’s sake, use lowercase letters and numbers 0-9. Don’t introduce punctuation or spaces. And it’s best to use hyphens rather than underscores. (Think eiffel-tower.jpg rather than DSC12345.jpg). Note: On Jimdo websites, you don’t have to rename all the files on your website—just update your Alt Text (see below). Once people upload an image to their website, they often forget to fill out the additional information. But just like the file name, this info gives you some added SEO juice. Alt tags (or alternative text) won’t be visible to your average visitor, but they give search engines a basic idea of what each image is about. So once you’ve added an image to your site, be sure to fill in the Alternative Text field with a phrase that describes what the photo is showing, preferably with a targeted keyword. (Alternative text also helps visually impaired visitors navigate your site with audio-based software, so it’s a nice way to improve website accessibility.) Here are a few more tips on writing good alt tags. File names and alt tags are especially important for the SEO of product pages. If it makes sense, also add a caption to your image, since people read photo captions more than other website text. Don’t forget to fill in your Alt Text and caption! Note: Filling in alt tags, names, and captions is good for SEO, but don’t try to keyword stuff. You just want to accurately describe an image in plain English—adding irrelevant or repetitive keywords will get you penalized by the search engine deities. Choose images that are related to what the text is saying, rather than something completely out-of-the-blue. An image that is surrounded by relevant information (with related keywords) will rank better. This tip also helps you avoid stock photo cliches. If your website is about education, you don’t get any SEO boost from having a photo of an apple. Photos of teachers, students, and classrooms will be more interesting for readers and more relevant to your subject matter. Use a photo tool to resize and crop the image to the size I want. For this example I chose 1000×760. If you wanted a square you could do 1000×1000. Make sure it’s the right file size. Once I cropped it to the size I wanted and downloaded it from the photo editor, the file size was 117KB—perfect! Upload it to your website, and don’t forget to fill out the Alt Text! I also added a caption for good measure. Even though this checklist might seem like a lot, it’ll get faster once you’re used to the process (and you might bookmark this page so you can refer back to it). Plus, going through these step will make your images look better, help your website load faster, and ultimately benefit your SEO. Get into the right image habits now, and you’ll reap the benefits across your entire website. Check our Guide on “How to create a website” for even more tips on design!